The philosopher Ralph Waldo Emerson said the question of beauty takes us from surfaces into thinking about the core foundations of things. This insight is vital to understanding that good design can touch all our lives in the minutest detail – and good design is foundational to beauty and what we bring into our world. By returning to our roots of; making, crafting, designing, our world would be a better place to live. We can use design to work on behalf of the human spirit, to uplift us physically and spiritually, to connect us to our human nature. Design elevates, nurtures and improves our lot. It intertwines our spiritual and material well-being. “Good design” said Paul Rand in the 1960’s, “is good business”. I am always seeking new ways to interpret that belief and philosophy. 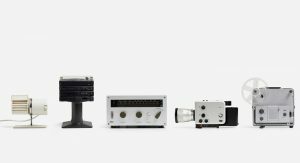 For me its a curious thing that the early pioneers of design in all its manifestations, tapped the root of a higher purpose – that one was in service to something beautiful. It is ‘crafts work’ to improve the lot of us all. The elevation of the ordinary into small moments of beauty. 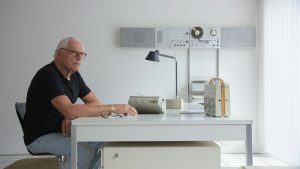 Which brings me to Dieter Rams. 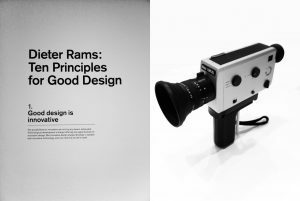 During a lecture held in Washington in 1985, Dieter Rams came up with the ten statements that are according to him — essential, or design as elegant sufficiency. 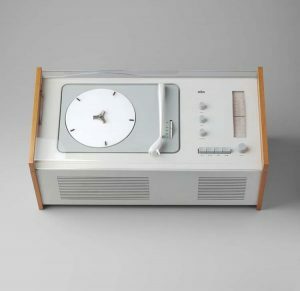 “The time of thoughtless design for thoughtless consumption is over” — Dieter Rams. 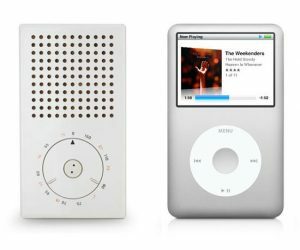 ONE | Good design is innovative: It does not copy existing product forms, nor does it create novelty just for the sake of it. Rather good design is innovative in that it generates innovation only in respect to clear improvements in a products function. The potential in this respect has by no means been exhausted. Technological progress continues to offer designers new chances for innovative solutions. TWO | Good design makes a product useful: You buy a product in order to use it. It has to fulfill certain purposes – primary as well as additional functions. The most important responsibility of design is to optimise the utility of a product. THREE | Good design is aesthetic: The aesthetic quality of a product – thus its fascination – is an integral aspect of its utility. 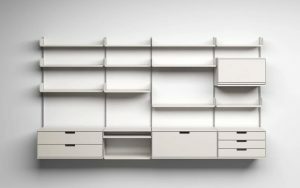 The aesthetic quality of a product is integral to its usefulness because products are used every day and have an effect on people and their wellbeing. Only well executed objects can be beautiful. 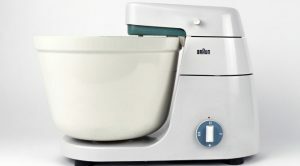 FOUR | Good design makes a product understandable: It clarifies the products structure. Better still, it can make a product clearly express its function by making use of the users intuition. At best, its self explanatory. 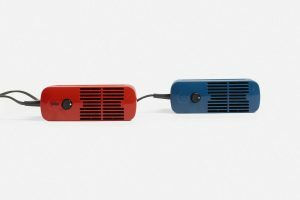 FIVE | Good design is unobtrusive: Products fulfilling a purpose are like tools. They are neither decorative objects nor works of art. Their design should therefore be both neutral and restrained, to leave room for the users expression. SIX | Good design is honest: It does not make a product more innovative, powerful or valuable than it really is. It does not attempt to manipulate the consumer with promises that cannot be kept. SEVEN | Good design is long lasting: It avoids being fashionable and therefore never appears antiquated. Unlike fashionable design, it lasts many years – even in today’s throwaway society. EIGHT | Good design is thorough down to the last detail: Nothing must be arbitrary or left to chance. Care and accuracy in the design process show respect. NINE | Good design is environmentally friendly: Design makes an important contribution to the preservation of the environment. It conserves resources and minimises physical and visual pollution throughout the lifecycle of the product. 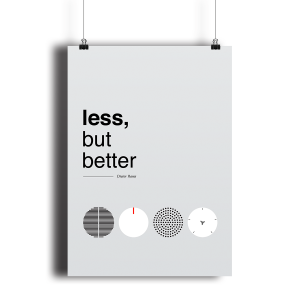 TEN | Good design is as little design as possible: Less, but better – because it concerntrates on the essential aspects, and the products are not burdened with non-essentials. Back to purity, back to simplicity.